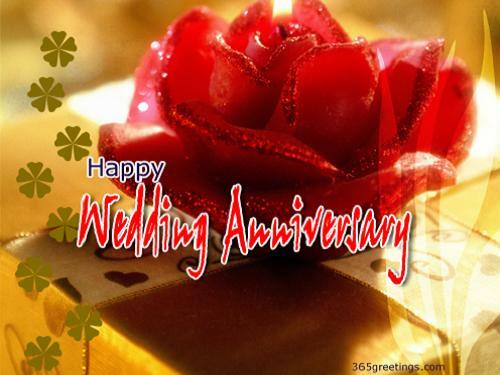 Are you looking for wedding anniversary wishes, to send to some one special ? Wedding anniversary gives us a moment to look back at the years that passed. Remembering all the happiness, tears, and sadness shared by couples while managing the family they built. Staying with each other, through ups and downs in life, is surely a no little feat. It is something that worth a celebration. 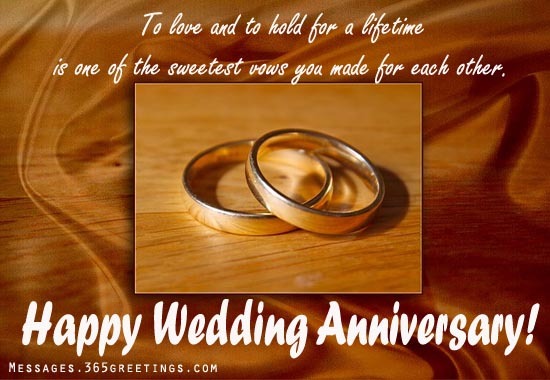 Here are some examples of wedding anniversary messages and anniversary wishes for your husband or wife. 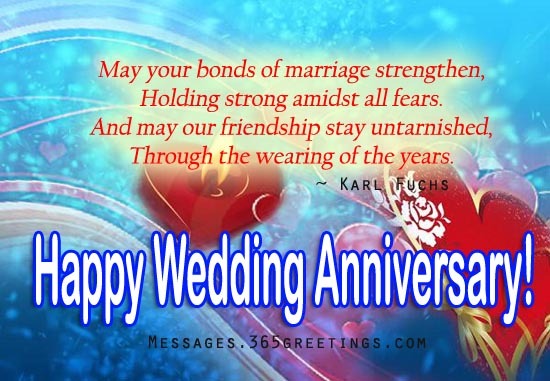 We also include some wedding anniversary messages for friends and parents. 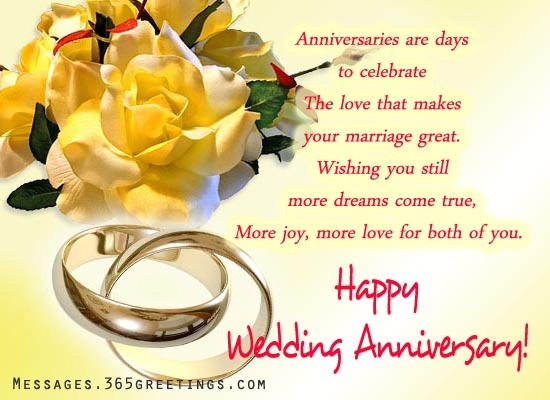 Below of these happy wedding anniversary messages are some guide and tips for wedding anniversary present. It is what keeps me from falling down. And now that you’re here, you complete me. it’s like you found your other half, which you don’t know was actually missing. Thank you for a year of sharing that love to me and being my other half. Thank you for not giving up on me, I love you. I love you more and more each year that pass. 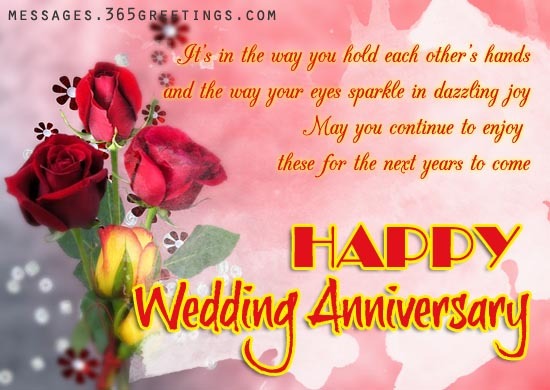 Express your heartiest wishes for couple whose celebrating their union of hearts with these marriage anniversary greetings and messages. Scroll down for inspiration. Now that’s what I call love. and still love each other more than yesterday. And so is your love for one another. Here is for another year of your undying love! nor is it how many hugs you give. but still comes a day when you still love each other. 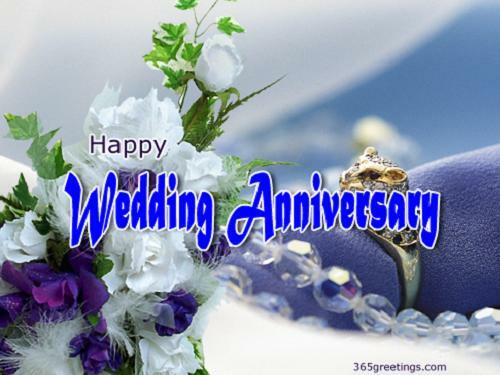 Here you can find some great Wedding anniversary wishes for husband? 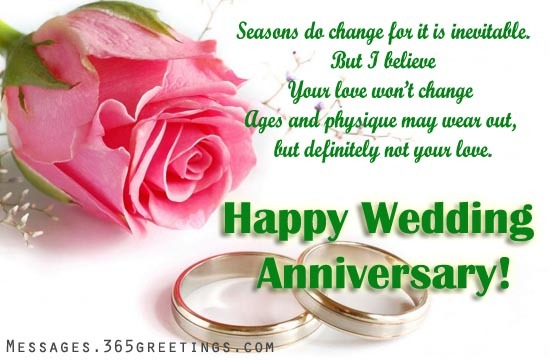 If you are looking for some romantic wedding anniversary messages, I am sure that you will find some wonderful wedding anniversary wishes for your husband. For staying beside me all through these years. You always understand my tantrums and bear all of my shortcomings. let us continue to stay in love with each other. Going to celebrate another year of being together? 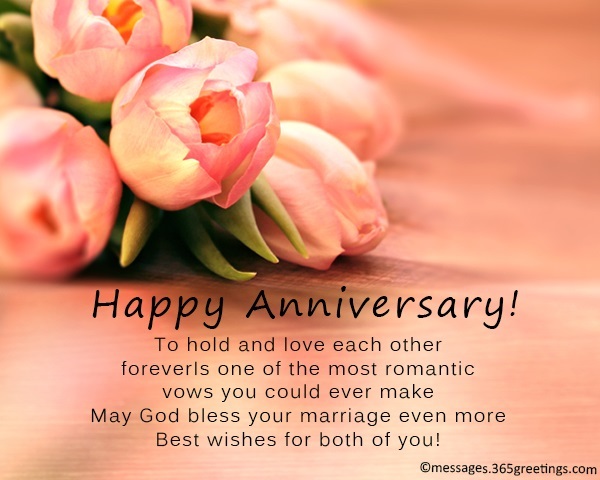 Here are some samples of anniversary messages that can help you express your love to your better half on your anniversary. 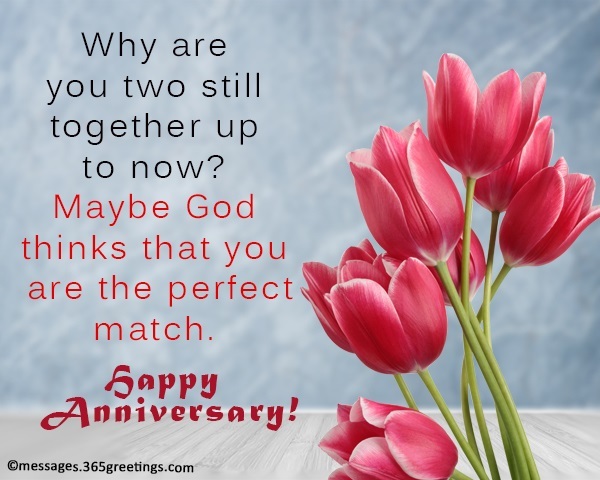 These happy anniversary messages are especially written for loving partners who want to show how much they love their half. Count all the leaves of a tree sprouting in spring. You know how many days I want to be with you? Count all the stars you can see at night. I can’t imagine myself with anyone else. and I think it will always be you for the remaining years of our lives. Thank you for giving me the reason to live my life to fullest. You made my life colourful. You’re the reason why I wake up every morning with a smile. For that, I thank you and love you more. 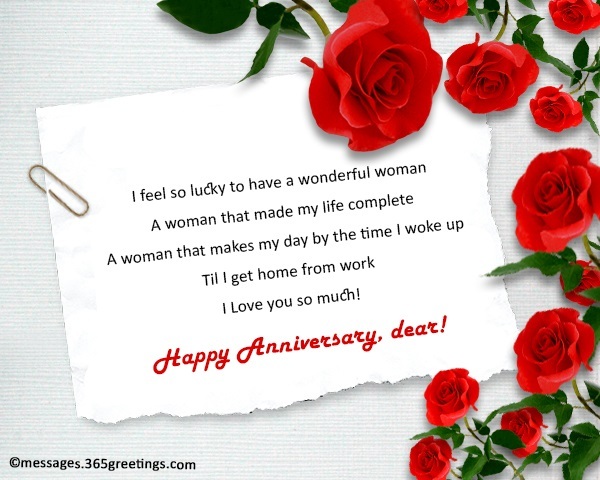 Utter the sweetest words to your wife on your anniversary and make her feel loved once more. 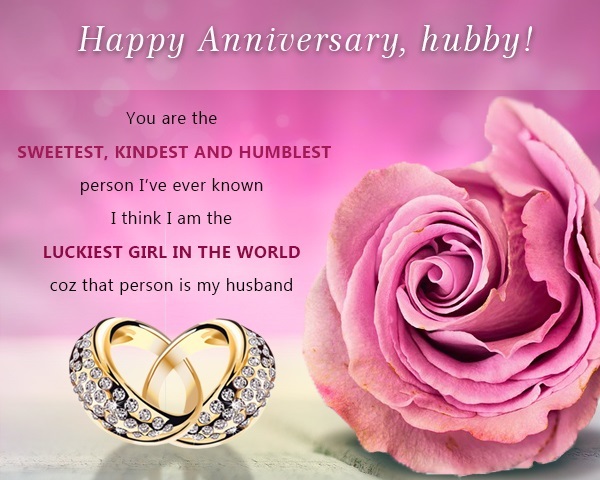 Get inspired with our samples of marriage anniversary messages for wife. but I still love you 365 days a year. It stops when you are with me. hurtful words just made me stronger. I love you, and that’s what it will always be forever. where I can take care of you and keep you mine. Was it a year already? that we are living in a world where other people exist too. It takes a lifetime to love and cherish someone you truly love. Make the most out of it and just be thankful that you have each other. God bless your journey together in the next years to come. Is one of the sweetest vows you made for each other. May your marriage be blessed all the more. 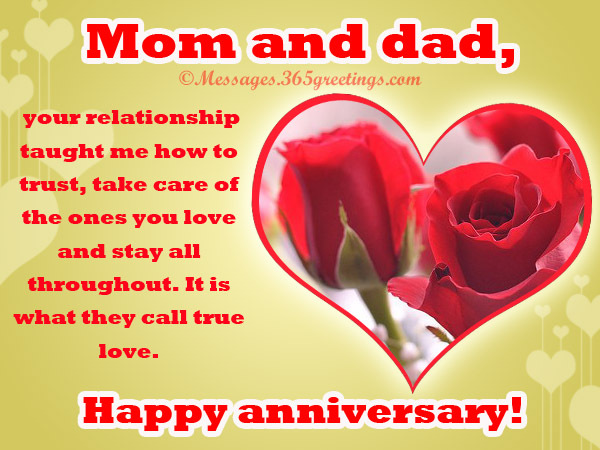 Sweet wishes for both of you on your anniversary. 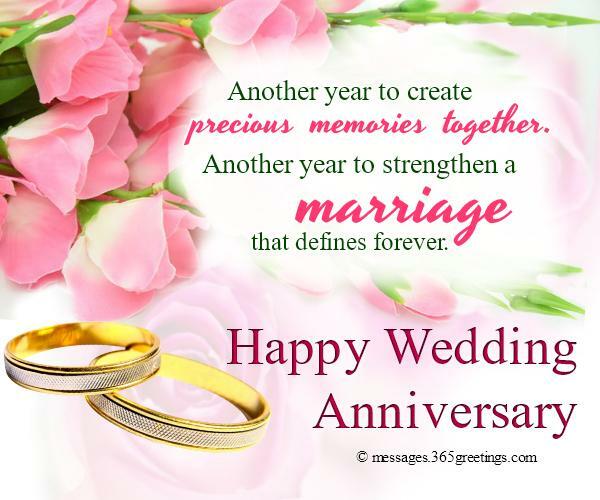 Happy Anniversary to an amazing couple like you! It’s always fun to sleep and wake up beside the one you love. And that would definitely last for a lifetime. Would end up to a love that lasts forever. You guys enjoy the rest of your days together. You still look good together since the day you wedded. Don’t know what to write in an anniversary card or anniversary gift card? Then you’ve found the perfect reference on the web. 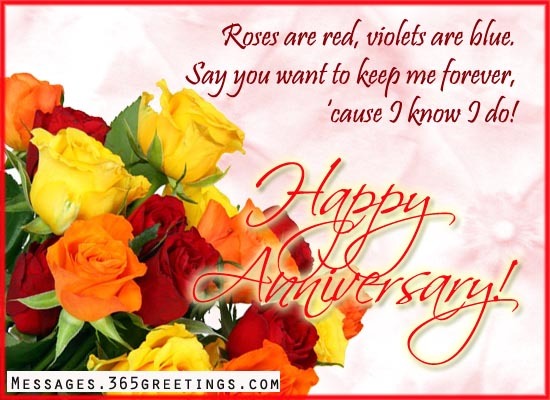 Here are some samples of anniversary card messages that you can use. 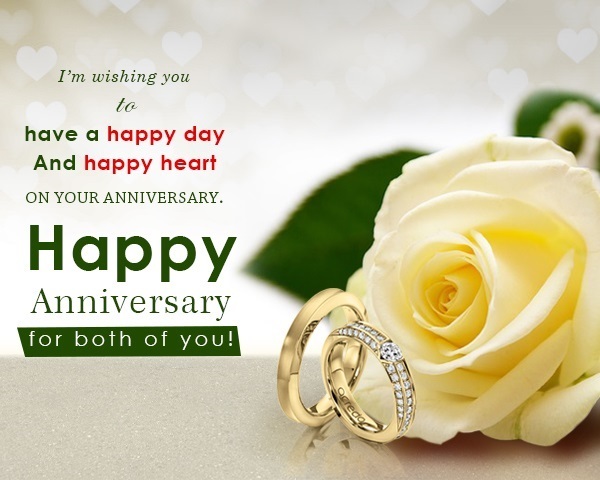 A perfect anniversary card wording together with a personalized anniversary gift will surely make your recipients feel special. and with so much excitement each day. 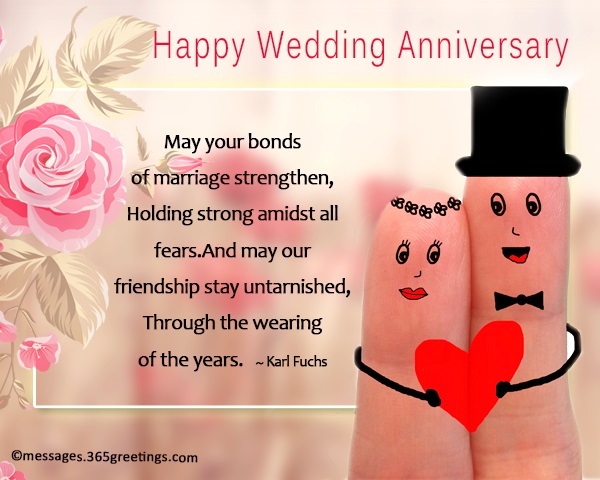 May you continue love and cherish each other! I must have done something good to deserve your attention. I want to keep you forever, safe and happy. I love you and more. You spent half your lives searching for your soul mates. Now, enjoy spending the other half taking care of each other. 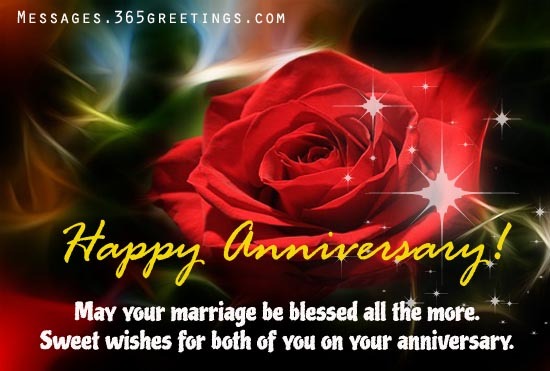 More blessings on your marriage journey! In good times or bad times, you love will make you pass through it. In richer or poorer, your love will always be sufficient. That’s what marriage is all about. They say that the marriage is like a rocky road to be walking through. I’d say, enjoy the ride and make the most out of it. After all, you’re in the same road together. You still love each other at the end of the day. Share the glory of love at its finest. Cheers to years of sweeter memories and brighter roads together. I pray that God will always be the center of your marriage. Let him guide your footsteps and grant you wisdom in everything you do. 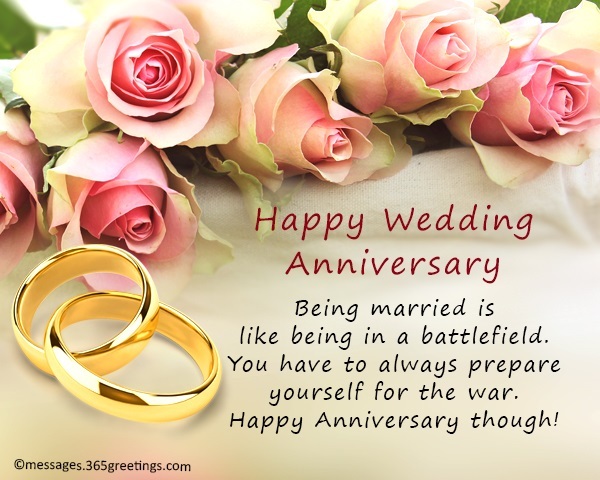 Enjoy your wedding anniversary today! It’s been a year when you popped out that question for her. And she said a big YES. It’s my turn to pop the question for you. It’s been a year and I can see you blessed in so many ways. Opposite poles attract, they say. And then we started our war, errrr journey. Your love is the strength that drives me to do everything for this family. I love you so much! Happy Anniversary! Your arms are the strong foundation that I hold on to. Your heart contains my love. You are my all. Just sitting beside you doing nothing is a big thing for me. You never fail to make me feel special every day. Thank you for that! Happy Anniversary! I love each day I lived and will be living with you. No matter how hard sometimes it is, I do not care. The most important thing is that we are together through thick and thin. Life is meaningless without you. My world will be so dull if you are not here. Yours is my heart and you are mine. Together we will grow old, still madly in love. Of course, you want to get the best wedding anniversary gift you could ever find. But not all expensive items are the best. Sometimes, you have to remember that it is the thought that counts. 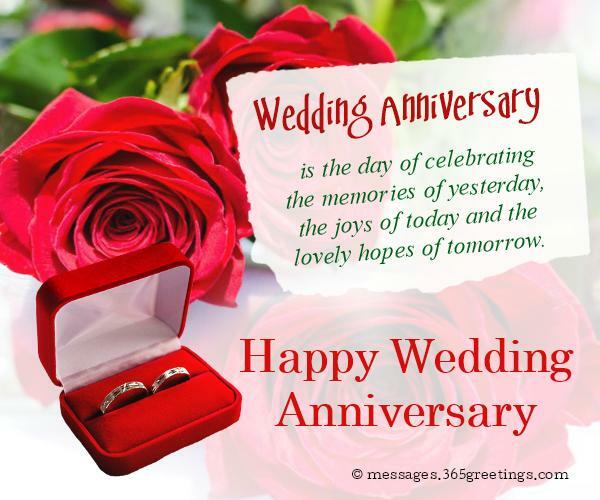 Here are some tips in choosing the best wedding anniversary gift. The presentation – make the act of giving them the gift a memorable one. A surprise gift presentation can be the best. Sentimental gift – Think about something that means so much to them. If they are looking for an item they long for, give it to them as gift. Choose a gift that both of the couple can use. Make the gift wrapping creative. Add ribbons, glitters, stickers and ornaments. 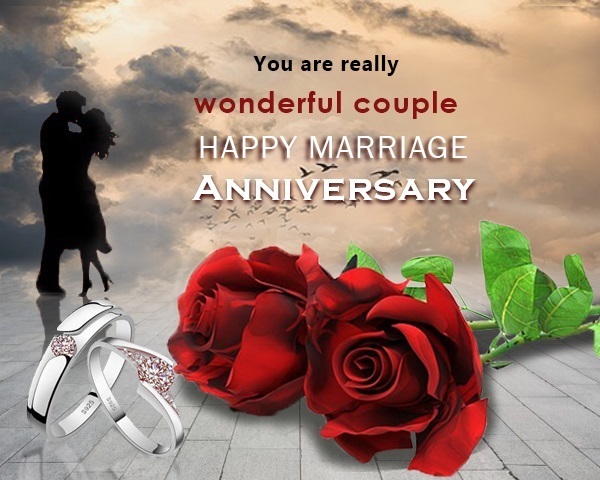 Try online shop for wedding anniversary gifts for more choices.